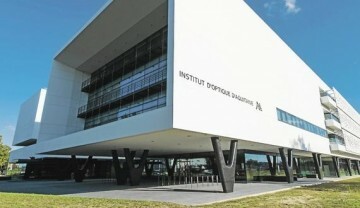 The Institut Optique Graduate School is located in the "Institut d'Optique d'Aquitaine" building between stations "Arts et Métiers" and "François Bordes" on tram line B. From the city center: tram line B towards "Pessac Center" - get off at "Arts et Métiers" station. 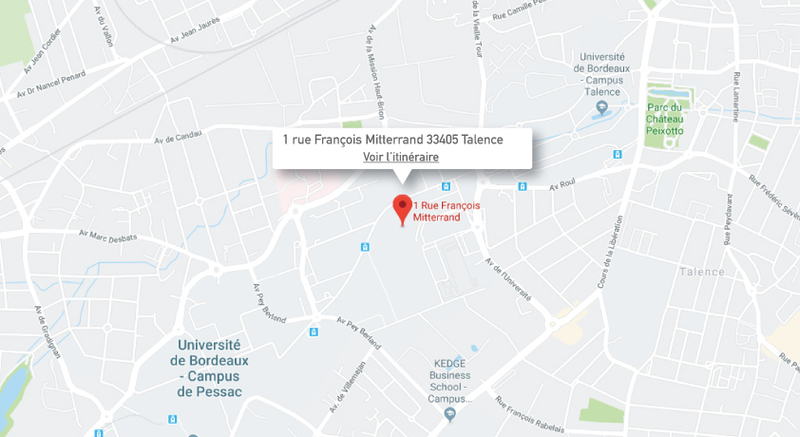 From Bordeaux-Mérignac airport: Jet'Bus shuttle - get off at "Aristide Briand" (Place de la Victoire), then take tram line B towards "Pessac Center" - get off at the "Arts et Métiers" stop.